The Festive Party Season is upon us, Whoooohooo, and I don’t know about you, But I am seriously looking forward to getting the Sparkly, Glittery makeup on, teamed with high heels and a super cute dress......thats if it weren't for the awful skin outbreak that recently took over my Chin, epic FAIL!!! I’ve been really busy the last few weeks, with Stress, comes Spots. My body gets completely run down by my emotions and reacts by normally taking it out on my skin, that coupled with the #howtogetfatquicksxmasdiet of Chocolate and all things comfort, does not bode for a particularly good combination!! With only 3 weeks until Christmas, I needed to take action...and take it now!! 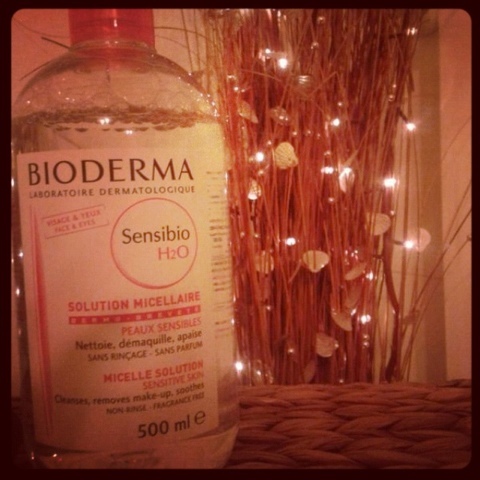 The two products that I have recently discovered, are certainly not new to the market, but they are new to me – Bioderma (Sensibo H20) and La Roche-Posay Effaclar Duo!! Bioderma gently cleanses and removes makeup from face and eyes, simply soak a cotton pad in the solution and use all over the face to remove your makeup. The formula “effectively micro emulsifies impurities whilst maintaining the cutaneous balance”. This product is super soothing , and doesn't irritate the skin or cause redness. It just leaves your skin refreshed and feeling so clean!! I actually used this after using my normal cleanser to remove my makeup, so I was convinced before applying the Bioderma that all my makeup was off......boy was I wrong!! I was actually shocked at how dirty the cotton pad was after using the Bioderma and how much makeup still came off. Whilst my normal cleanser took the visible makeup off the surface, there was still so much blocking my pores!! Bioderma really cleanses the skin, and the difference you feel is amazing and that’s not an exaggeration. My Skin has been able to breathe and as a result my pores are no longer suffocating under layers of makeup that up until now , I didn't even realise was there!! As a result, my pores are no longer blocked, which means my skin is no longer breaking out...RESULT. I’ve no idea why Bioderma is not available to buy in the UK, but I seriously think that someone needs to remedy this as Bioderma is a MUST have skin essential and would literally fly off the shelves it would be that popular!!! 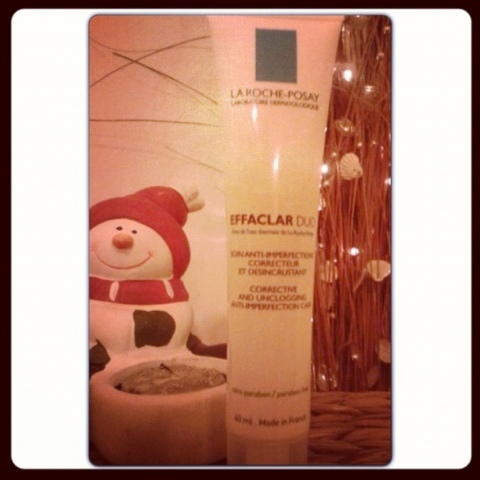 The next product I had never heard of so would never think of trying it but, is La Roche-Posay Effaclar Duo, my sister sent me over some raving about it. This is a Corrective and Unclogging Anti-Imperfection Care Serum that you apply all over the face day and night after cleansing. It reduces the appearance of imperfections such as hyperpigmentation and unclogs sebum-blocked pores. I am so thankful for this recommendation and cant praise this product enough. I have been using this primarily on my chin area as this is where I have had a really bad breakout, and 4 days in....I can hand on heart say that my skin has become less irritated, my spots have started to clear up, the redness and scarring leftover from spots has really reduced, and the overall appearance of my skin has improved so much. I have been trying so many different products to try and help clear up my spots and nothing has come even close to achieving the results that I have found using Effaclar Duo, and I’ve only been using it for 4 days!! AaaaaMaaaaZING!! 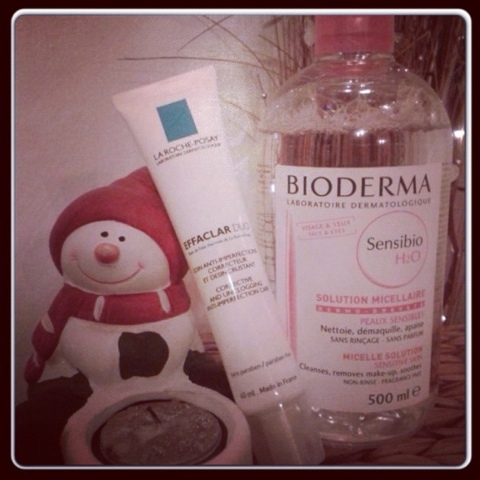 Using both the Bioderma and Effaclar Duo has given my skin a new lease of life, just in in time for the festive period. I am so pleased with the results, that I’m now much happier with my skin, and feel much more confident for the impending party season that will involve of course “Rocking around the Christmas Tree”!!!! Aw do they? Ill keep that in mind. I live too far away from the good shops! Great post! I am not a fan of Bioderma, it dried out my skin but I do want to try the Effaclar, I might have to try and pick that up as my skin is playing up at the moment! Such a helpful post! I've been wanting to buy the Effaclar Duo for a while now, but haven't really considered BioDerma. Hopefully they'll work as great for me as they did for you! the major ingredient that affects the charge could be the volume of fuel capacity.